- 2017-11-27: New Images and Videos page. - 2017-09-13: MPDAF 2.3 Software released. - 2017-09-08: ZAP 2.0 Software released. - 2017-05-23: MUSE-Wide Survey: First data release. - 2017-02-22: Lensing cluster field Abell 2744 data release. - 2017-01-12: New Hubble Deep Field South data releases (v1.24, v.134). - 2016-07-05: MPDAF Software released. - 2016-04-26: Quasar Field SDSS J1422-00 data release. - 2016-02-04: Globular Cluster NGC 6397 data released and Zap Software for advanced sky subtraction released. 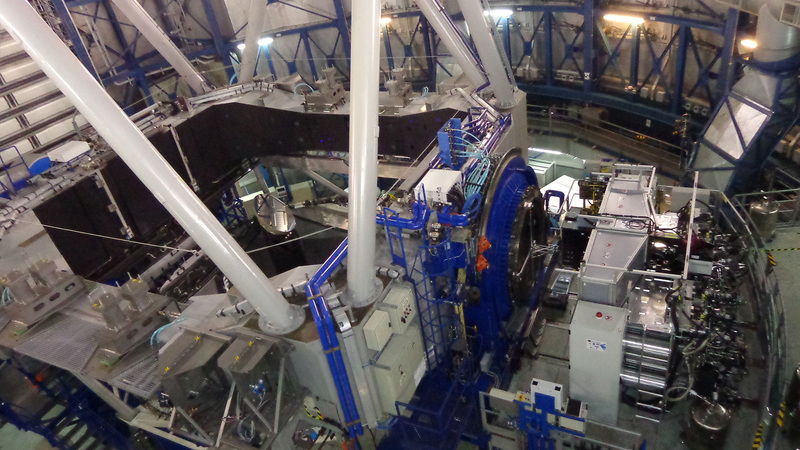 The Multi Unit Spectroscopic Explorer (MUSE) is a second generation instrument installed on the Nasmyth focus of UT4 at the Very Large Telescope (VLT) of the European Southern Observatory (ESO). It is a panoramic integral-field spectrograph operating in the visible wavelength range. It combines a wide field of view with a fine spatial sampling and a large simultaneous spectral range. 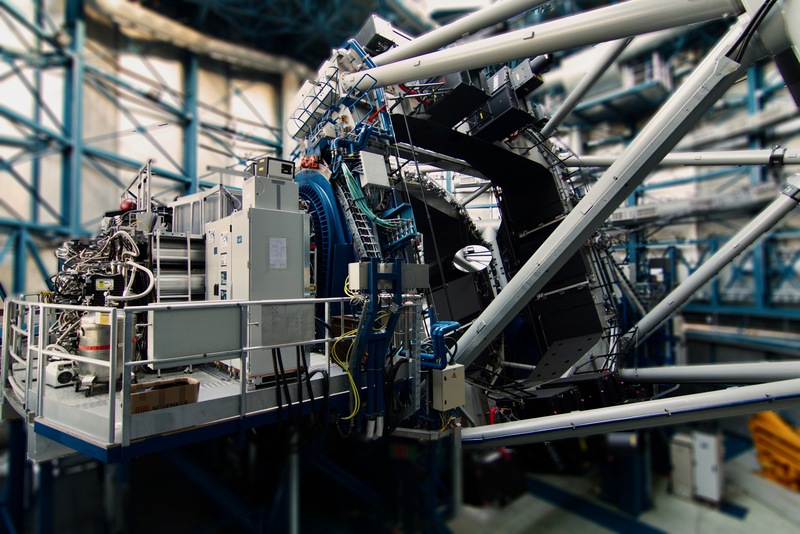 It is designed to take advantage of the improved spatial resolution provided by the future adaptive optics facility (AOF). MUSE had first light on the VLT on 31/01/2014. These pages are maintained by the MUSE consortium and primarily intended for science users. You will find here advanced science products such as reduced datacubes, source catalogs, software tools. We also maintain a list of papers using MUSE data.